Calvert County publishes electronic newsletters covering county government news and information. Click the button below to sign up and be in the know. 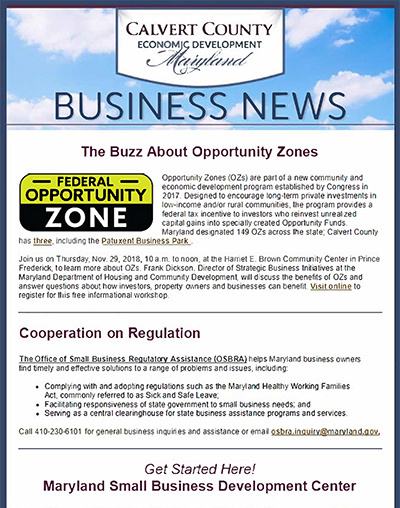 This newsletter contains news and events focusing on the business community in Calvert County. View the most recent edition. The monthly newsletter of the Board of County Commissioners. This newsletter includes the latest news and events from Chesapeake Hills Golf Course. This tourism newsletter features updates on county events, attractions and more.